Constructed circa 1900 – 1913 in the Classic Cottage style, this was the home of J.J. and Elizabeth Steinbaugh until circa 1931. 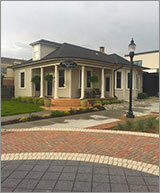 It was conveniently located just one block from the Steinbaugh blacksmith shop and later hardware store. Get ready for the Taste. Saturday, June 2. 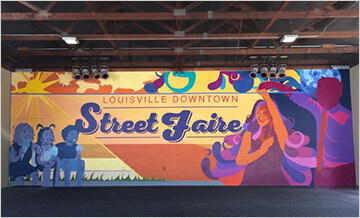 Are You Ready for the Street Faire! Hold on to your hats and dancing shoes, the first Street Faire kicks off June 8 with Kyle Hollingsworth. As a member of acclaimed jam masters, The String Cheese Incident, Hollingsworth is revered by both peers and fans for his ability to write and perform in a mosaic of styles, from rock to classical, ragtime to bebop. Afterall, he’s been doing it for 30 years! And he’s established himself as a versatile music talent on a number of levels within a vast spectrum of musical environments. We’re looking forward to seeing and hearing him Opening Night and seeing all of you down at the Faire! Introducing the Street Faire Happy Hour! Get a great start to the evening with our new Street Faire Happy Hour from 5:00 – 6:00 pm. Come on down and get 2 drinks for 1 token (wine and beer only) and enjoy local entertainment. Did you catch the new Mural behind the stage? It’s done by students! John Cross, chair of the Art Department at Front Range Community College in Longmont, headed up the production and painting effort, with help of three student interns, Sophia Zanowick, Kait Tonks, and Creed Guidice who are getting art credit for their tremendous effort. Deb Craven, Dean of Students, FRCC, and Blake Welch of Pique Creative created the design and color palette based on this year’s new Street Faire look and logo. Thank you Front Range Community College. Let us know what you think! 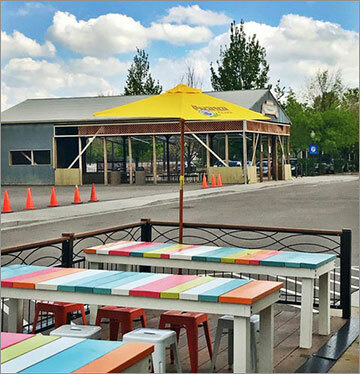 Get the best seat in town for the 2018 Louisville Street Faire. Pica’s streetside patios can be reserved for private parties the night of the Street Faire for $500 minimum. The tables can seat 24 people and you get table service and private seating and a great perch to experience the Street Faire. All food and drink expenses will be applied to the $500 minimum. Contact trent@picasboulder.com for more details. And if you can’t find a table at Pica’s, ask about reserving our $500 tables in the VIP area of the Faire. 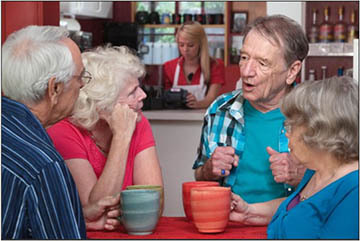 Contact Marilyn Davenport (marilyndave@gmail.com) for further information. Visit the Singing Cook booth during the Taste of Louisville for bargains and enter a drawing for a chance to win a Singing Cook gift certificate. Don’t miss Knife Sharpening on June 9th from 10:00 am – 2:00 pm. Bring your knives, scissors and garden tools. 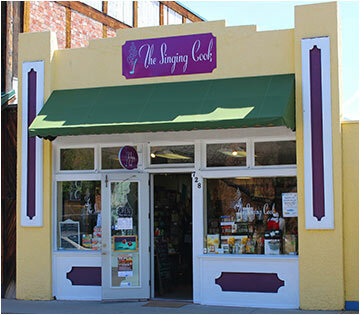 Also, beginning in June, The Singing Cook herself will perform outside the shop during First Friday Art Walks. Stop by and wave hello! Just a short stroll through the underpass from Old Town Louisville are the new, low-maintenance yourHouse townhomes from Boulder Creek Neighborhoods. Take a tour of the professionally designed model home at DELO, and picture yourself living just steps away from the charms of Old Town Louisville. 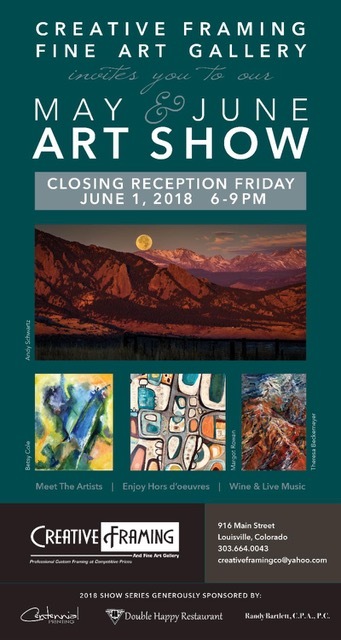 Don’t miss this chance to mingle with featured artists during the closing reception! Also be sure to visit with our artists in-residence located in our Artist Studio and Eastside Gallery. The Book Cellar has gathered the reading lists from several schools in BVSD and stocked up for the students. Call ahead (303.604.2880) or come in to the store to grab your copies for summer vacation. If they don’t have it, they can order it in with a 10% discount and free shipping. 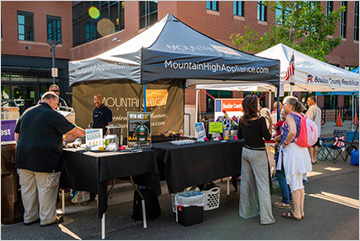 As a locally owned Colorado company, Mountain High Appliance loves celebrating the community that helped them reach 25 wonderful years. We all appreciate everything they have done for Louisville! Visit them at the Street Faire where they’ll be cooking up delicious bites on the grill, opening up their Grilling 101 Course for new participants and raffling off a MiniMax Big Green Egg every week! And don’t miss Mountain High Market Meals, curated by Executive Chef Keith Jones. 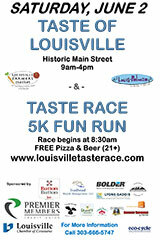 They’ll be available online at Bit.ly/MHAMarketMeals or at the Louisville Farmer’s Market! 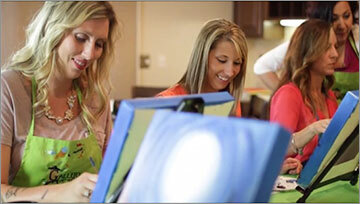 Bring your friends, have a drink and show off your artistic side. /POR/ is once again co-hosting with Stacie Markham from Gallery on the Go. Tickets are just $40 and include all materials and a glass of house wine. All wines by the glass are 2-for-1 on Ladies Night after that and the full tapas spread will be available too. Enjoy an exclusive Old World Wine Dinner with Vail’s renowned Master Sommelier Damon Ornowski. He will share his knowledge of six old world wines paired with brand new culinary creations by Chef Paul Bourillion. $95 per person not including tax & gratuity. Seats are extremely limited. Call today for your reservations 720.519.1972. Share your unique but also common life experiences with others and discover the interesting stories we all have to tell.The group is limited to 12 people and pre-registration is requested. Register here. Come to the Museum to learn about Louisville’s Italian heritage, meet members of the Society of Italian Americans, and find out about the club’s activities, such as the Italian festival called “La Festa” that is open to the public at Memory Square Park each August. 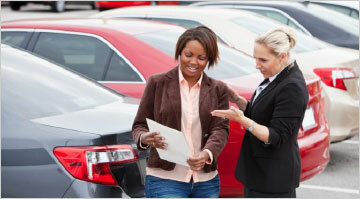 If you are thinking of purchasing a vehicle, this program will help inform you about all your options! We’ll discuss buying new and used autos, what to expect at a dealership, leasing considerations, ownership costs, and research resources.